those that experience ASMR, and those that don’t! Maybe it was the voice of your first grade teacher that initially triggered a similar sensation in you? Perhaps you go to get a haircut more often than others because you feel the tingly sensation spreading all over your body, when the attentive stylist gently washes your hair. But all this is old news, isn’t it? Because one night, anxious and unable to sleep, you hopped on YouTube and landed on a whisper video…. And just like that you’ve discovered that others also respond in a similar way to head massages and certain voices because just like you they have ASMR. (7) Bob Ross! — a painter, and a star of The Joy of Painting, an American PBS program, who apparently has induced virginal ASMR responses in tingleheads across the world. 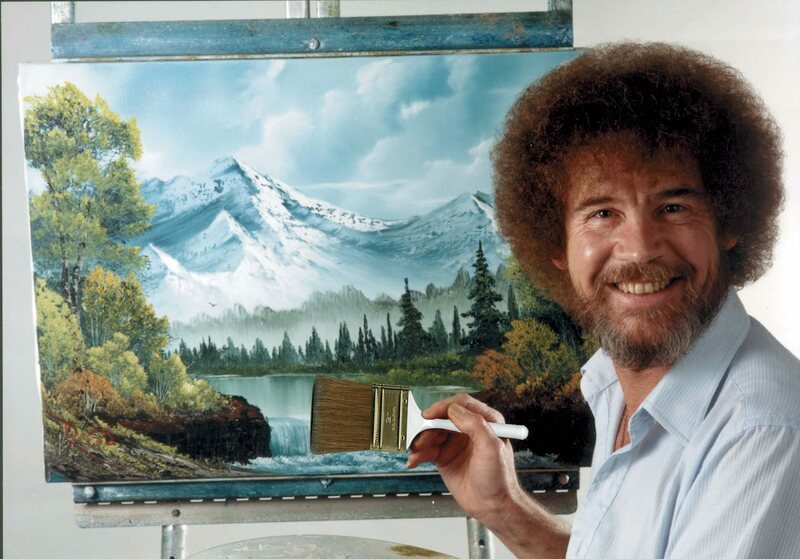 Bob’s tantalizing paint-smearing technique, and his calming and positive narration that is often centers on trivialities (such as squirrels or cherry tomatoes), keeps Ross’ videos popular among tingle-hunters even after his death. This entry was posted in Digital Media Tech, Digital Storytelling, New Advertising Technologies. Bookmark the permalink. 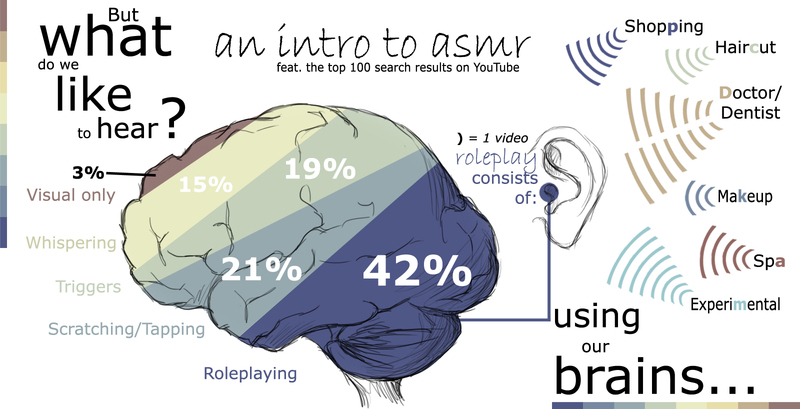 The whole idea of ASMR is interesting. There are stimuli in the world that make people do things more often than others in a great thing to study. I thought that this has been studied before yet it must have been in a different facet, more behavioral than solely chemically from the reactions in the brain. It’ll be interesting to see neurotransmitter response and what location in the brain this would cause relations too. I must admit, that was a pretty cool video. I was listening these (http://mc2method.org/white-noise/) to try to meditate at one point when a friend introduced me to ASMR. The girl’s voice sounded eerily relaxing just like the girl in this video. When she flashed the light pen at the screen I felt a strange sensation on my lower forehead. Anyway, so I woke up this morning with 3 extra eyes, thanks Nadia–jk. Really though, cool stuff.